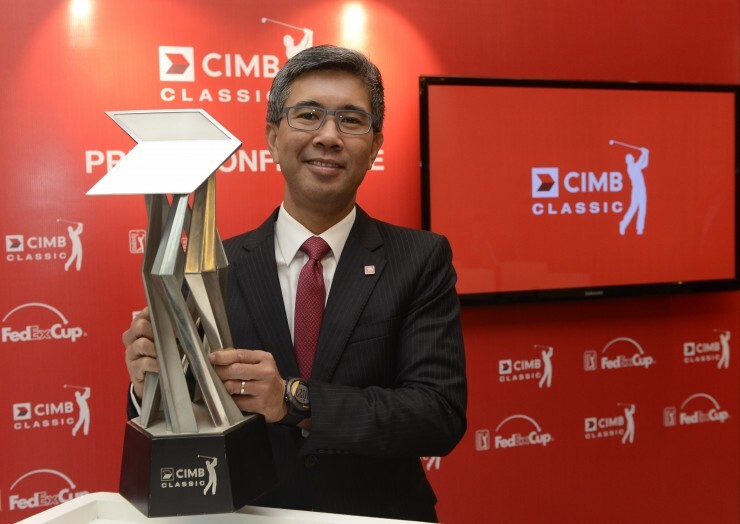 CIMB Group, the title sponsor of CIMB Classic since its inception in 2010, today announced the extension of its title sponsorship of the golf tournament through 2020. The four-year extension reflects the success of the only official PGA TOUR FedExCup event in Southeast Asia, which is also the richest in the region with a purse of USD7 million. Since it was first staged, the tournament has attracted world class professionals like Tiger Woods, Henrik Stenson, Adam Scott, Sergio Garcia, Ernie Els and Ryo Ishikawa. CIMB Classic, being one of most prestigious and biggest sporting events in the region, has undoubtedly boosted Malaysia’s position as a golfing tourism destination, attracting an audience from all over Asia annually. The CIMB Classic was introduced in 2010 as an unofficial event before becoming a FedExCup tournament in 2013. Co-sanctioned by the Asian Tour and Professional Golf Association of Malaysia, it is held at the Kuala Lumpur Golf & Country Club and features a limited field of 78 players. Qualifiers include the top 60 available players from the previous season’s FedExCup Points list, the top-10 available money leaders from the Asian Tour Order of Merit and eight sponsor exemptions, which include two Malaysians. Justin Thomas of the United States is the reigning champion. The upcoming CIMB Classic will be held from 20 – 23 October and is the second tournament of the 2016-17 PGA TOUR schedule.